If you’re a heavy Bluetooth user, then you’re more than familiar with how much easier it makes everyday life. It’s pretty much a multi-task facilitator. With this technology, you can make hands-free phone calls while driving, allowing you to waste no time in traveling to destinations while handling important calls safely on the road. If you’re at home, you can also use a Bluetooth headset to make a phone call in one room where you could be doing laundry while you’re phone is in another room, so it frees up your hands and prevents you from having to shout over a distance to do a speaker phone call. Bluetooth also offers great efficiency and cost-effectiveness. Instead of buying an expensive, high-end stereo system, users can just buy a Bluetooth speaker that wirelessly plays music from an app on a smartphone, eliminating the need for space-consuming music set ups with masses of tangled cords. Instead of taking the time to directly connect a laptop to a printer using a USB cord to print a document, the printer and devices can identify and communicate with each other wirelessly to print files within seconds. As a type of radio-wave technology, Bluetooth allows devices to interact through their built-in receiving and transmitting antennas, or adapters if the devices are older, that receive and send radio waves, which are wireless signals, in the air using a specific communication protocol. 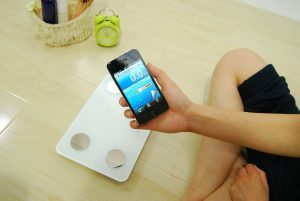 Under this protocol, Bluetooth-enabled devices link to each other in a process called pairing, in which the devices broadcast their presence in their vicinity, and devices within range automatically detect each other and connect so that they can engage in tasks like wirelessly downloading photos from a camera to a computer, or sending weight and body-mass index readings from a digital scale to a fitness app on a smartphone. Though Bluetooth technology is relatively safe, especially compared to Wi-Fi networks, it is not 100% perfect or impervious to cyberattacks. Here are a few Bluetooth dangers that users should be aware of and tips on how guard against them. Blueborne is an attack vector that was revealed by the security firm Armis in 2017. Endangering desktop, mobile, and IoT operating systems like Windows, Android, iOS, and Linux, this vector invades devices via Bluetooth by using identified vulnerabilities in devices. Blueborne attacks do not require pairing nor do they require devices to be set in discoverable mode. Once attackers successfully infiltrate a Bluetooth device, they can launch dangerous plots like Man-in-the-Middle attacks or complete takeovers of devices. In bluebugging, attackers take control of Bluetooth devices without the user’s knowledge. Bluebuggers target devices that are in discoverable mode, and older devices with out-of-date firmware are especially susceptible. Once thieves gain control over a device, they can access sensitive information like a victim’s contacts, photographs, and more. A very common type of Bluetooth attack, bluejacking happens when unsolicited messages, typically text messages with advertisements, are sent to discoverable Bluetooth devices. More of a nuisance than an actual danger, bluejacking is often used to send spam messages to people, and the sender of these messages does not gain control over the recipient’s device. Bluesnarfing is digital information theft that is carried out by an attacker who obtains unauthorized access to a victim’s device, usually thorough bluebugging. Bluesnarfing thieves usually steal data like a victim’s contacts, text messages, and passwords. Fortunately, the steps you can take to reduce the chance of exposure to such cyber dangers referenced above are relatively easy to carry out. The easiest preventative measure is to turn off Bluetooth connectivity on your devices when you do not need it or if you suspect you’re in an area that is high-risk for cyberattacks. By doing this, you’ll be outside of the radar of cyber thieves looking for “discoverable” devices in near proximity. Also, make sure your devices are using the latest versions of Bluetooth, or at least versions that are still supported with updates that close off potential exploit loops. In addition, make sure you pair only with devices that you trust, and confirm that those devices are using supported Bluetooth versions. If you want to stay safe on both Bluetooth and Wi-Fi networks, it’s important to understand how these networks operate, and that includes knowing how their infrastructures are exploited by cyber attackers who seek to infiltrate them. Start developing that understanding with courses from Cybrary’s cybersecurity catalog.